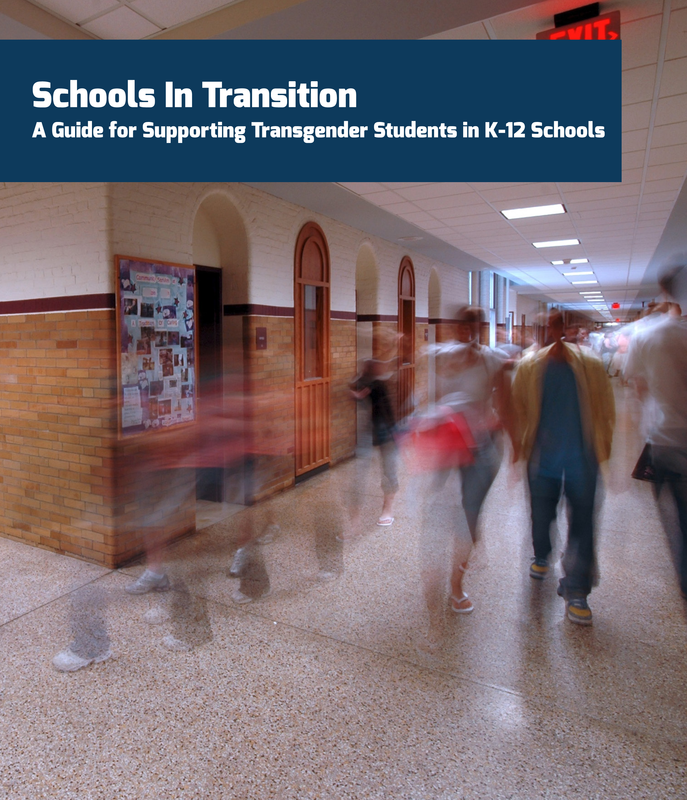 Schools In Transition: A Guide for Supporting Transgender Students in K-12 Schools is a first-of-its-kind resource providing a blueprint for safe, supportive and inclusive school environments for transgender youth. The groundbreaking guide, written for administrators, teachers, parents, and other adults who work with youth, covers topics ranging from basic concepts of gender and the importance of affirming gender identity, to best practices for restroom access and working with unsupportive parents. The National Center for Lesbian Rights (NCLR) and Gender Spectrum led the effort to produce the guide, joined by HRC Foundation, the American Civil Liberties Union (ACLU), and the National Education Association (NEA). Gives an overview of the legal landscape that administrators, educators, parents, and students should be aware of as they work to create safe and supportive school environments for all. More information on HRC Foundation's work with LGBTQ youth can be found here, and its resources on transgender children and youth can be found here.